Info about one of the earliest playable demos of Gold and Silver, including the ROM itself, have been leaked very recently. I’m not part of the team, but I thought this was interesting to talk about. I won’t be listing the ROM, but you can find it on 4chan before it’s taken down. To get the ROM to run, set $0147 to 0x10, and $014D to 0xC7. 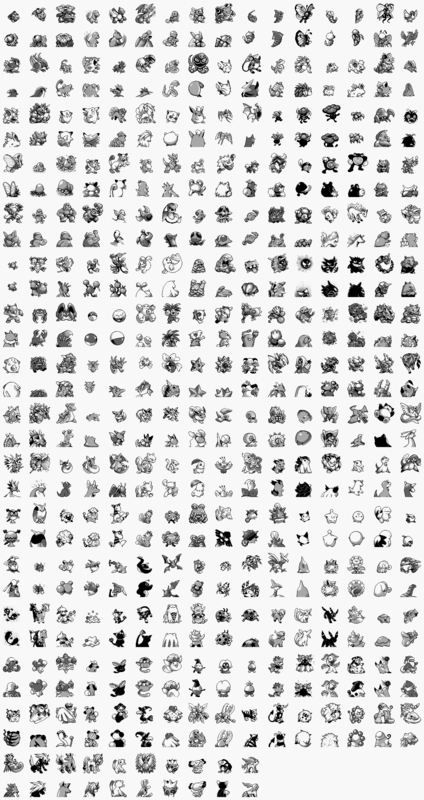 Information includes unused Pokémon sprites reminiscent of Red and Blue, MANY scrapped Pokémon like a baby Growlithe, and earlier title screens and such. I hope the code for follower pokemon in the overworld isn't too buggy, I'd love to use that. I think you got the wrong thread. Go to this thread here if you wanna talk about it. Most scripts have been renamed, rewritten, and put into new places over the course of PokéCrystal’s creation, so I highly doubt it would work unless you did a LOT of rewriting. That Noctowl sprite looks great. And Farfetch'd had a swan evolution. I just noticed that Geodude’s backsprite is incorrect. If the backsprites at that point of development was getting the frontsprites and getting their backs, then they made a mistake with Geodude. How so? That's clearly the back view of a Geodude. They made a mistake when drawing his arms, as Geodude’s supposed to be seen from the back. His arms should be mirrored to be correct. Well, that's not really a mistake, now is it? Besides, the front sprites are flipped in that first picture. When in battle, they are shown towards the left (as seen in the SGB compilation below. On the other hand, I'm so happy to see in my lifetime this, I researched an readed about this demo for so long. Never expected to see it or play it. A disassembly and translation are currently being worked on by the people who uncovered the ROM, including IIMarckus, but I can’t answer the other questions for you. But since headers and data are super different from the final game, I suggest that’s why you can’t trade the shinies over. However about the translation you know if the names will be complete or will be limited to 5 characters? Nope to both of those questions. I found a way to convert a pokémon from BETA to GEN 1. 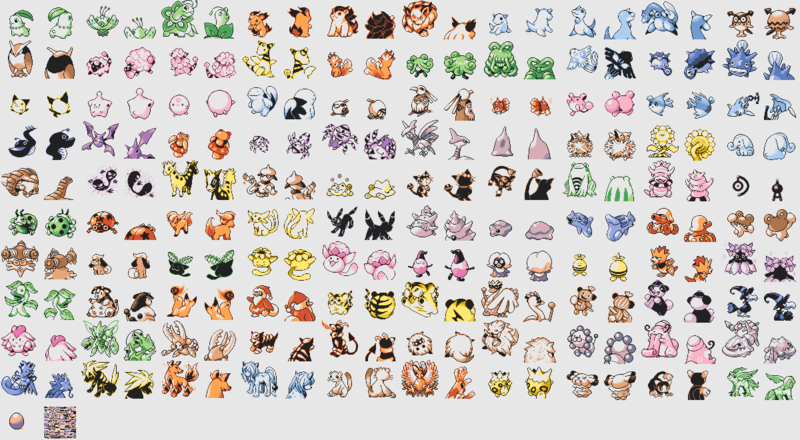 I'm fixing the evolutions, I'll release a patch, remaining Kanto pokémons, Pikachu, Ekans, Rattata and Pidgey. Now the rival is perfect and don't damage the other available trainers. Also is necessary remove the rival that stops the demo at the gate, maybe the events are coded to go further over the gate? We can't know it 'til remove him. Can you help please? I did something, but I don't know where start to do the final thing.